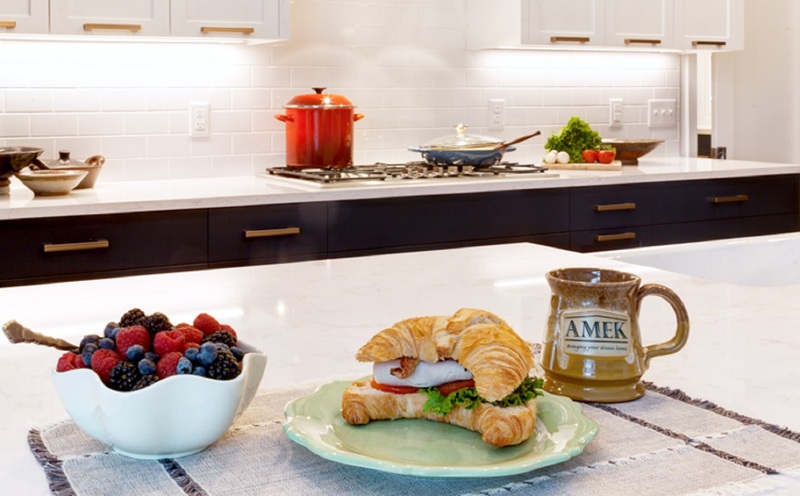 Our AMEK team is excited to share its recent Bloomington main level remodeling project for the Spring 2019 Remodelers Showcase. 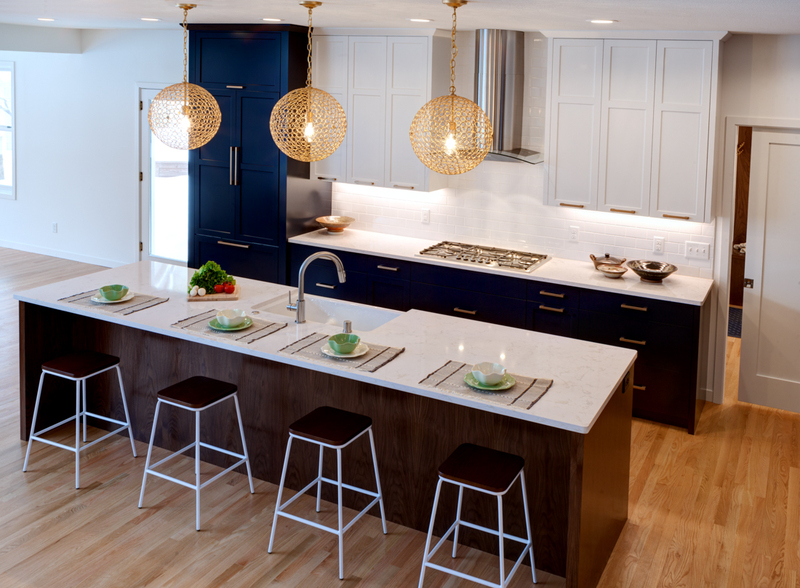 Organized by the Builders Association of the Twin Cities (BATC), this event on March 29-31 provides homeowners an opportunity to tour the latest trends in remodeling and meet the builders. With an ideal location near the Hyland Park Preserve, our Bloomington clients loved their neighborhood. As for the main level layout…not so much. Learning about the lifestyle and organization needs of this family helped in creating a new space within the original footprint. In the heart of everything is the kitchen. 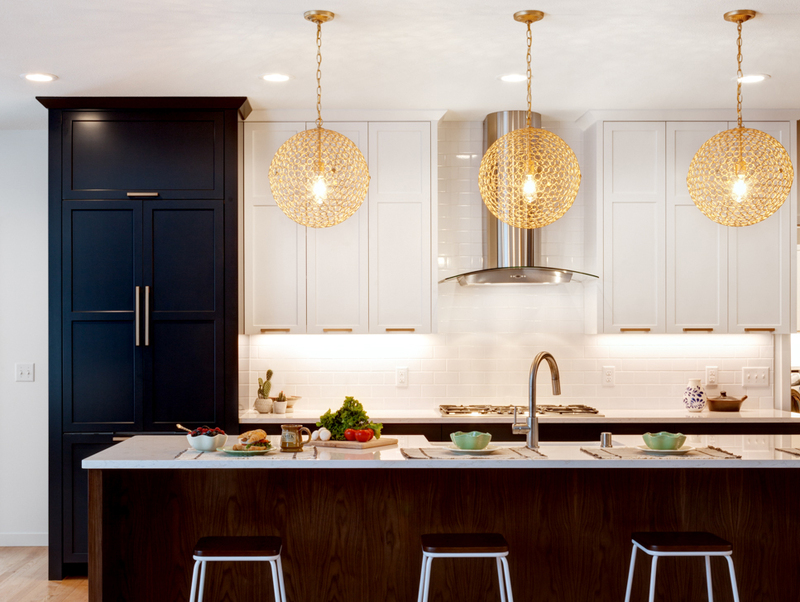 While it is basically in the same area of the home, it feels like a dramatically different place with the fresh layout and richness of deep colors, Cambria countertops and metallic finishes. 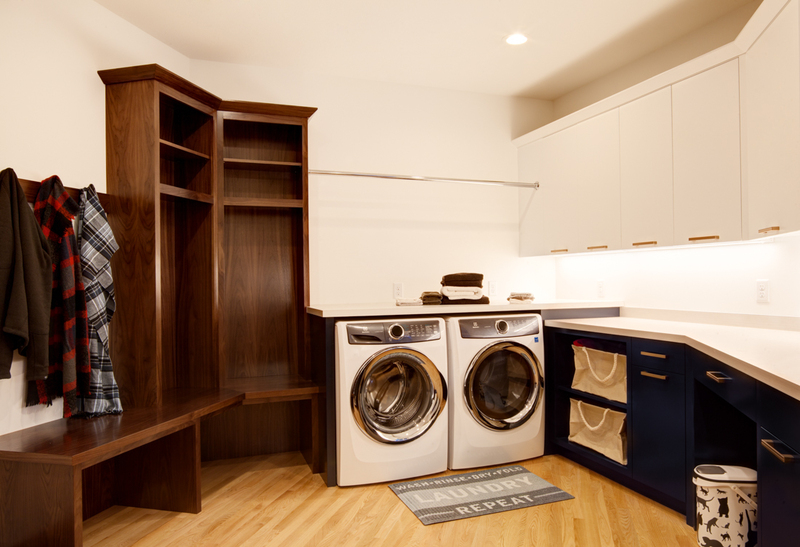 The satin brass accents add a striking, classy touch against the white, navy and walnut custom cabinets. 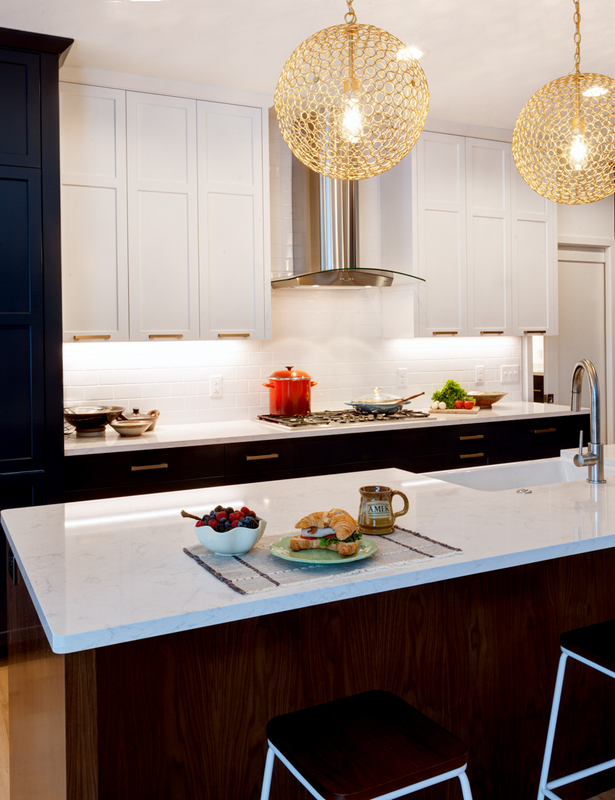 Thermador appliances – especially the steam oven – are a treat to cook the family’s preferred healthy recipes. Sometimes small areas cause the biggest frustrations. 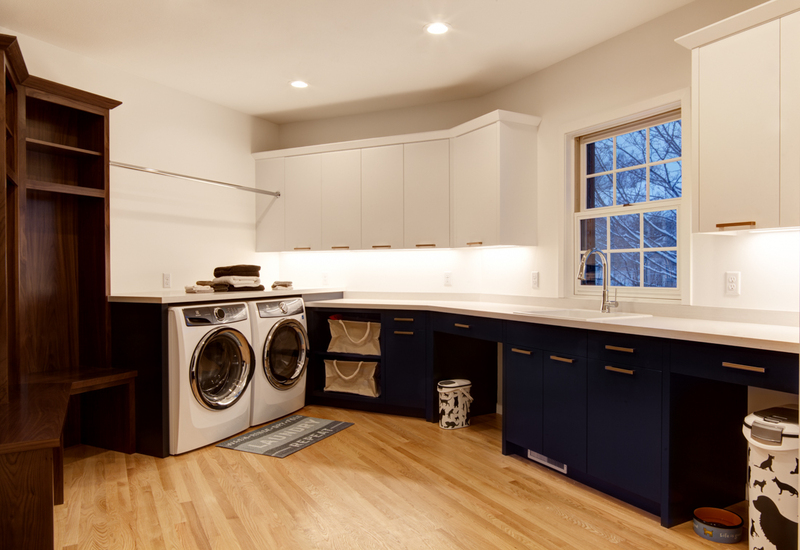 To solve the tight area when entering from the garage, the cramped closet and small laundry room were combined to provide a welcoming drop zone plus a spacious area to do laundry and store pet supplies. Radiating with natural light and overlooking backyard views of the vegetable and flower gardens, the new dining room location draws guests to gather whatever the season. The new focal point in the living room is the artful main wall that showcases the fireplace, sophisticated tile, and modern shelving. 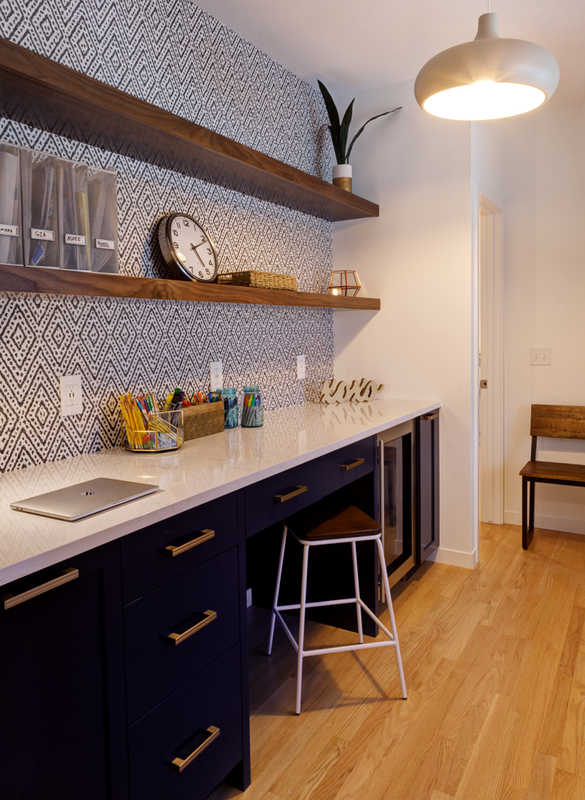 You will want to check out one of the homeowners’ favorite parts of the remodel: the command center – formerly the open dining area. The command center is meant to be multi-purpose from handling communications plus online orders to being a hub to do homework or art projects. 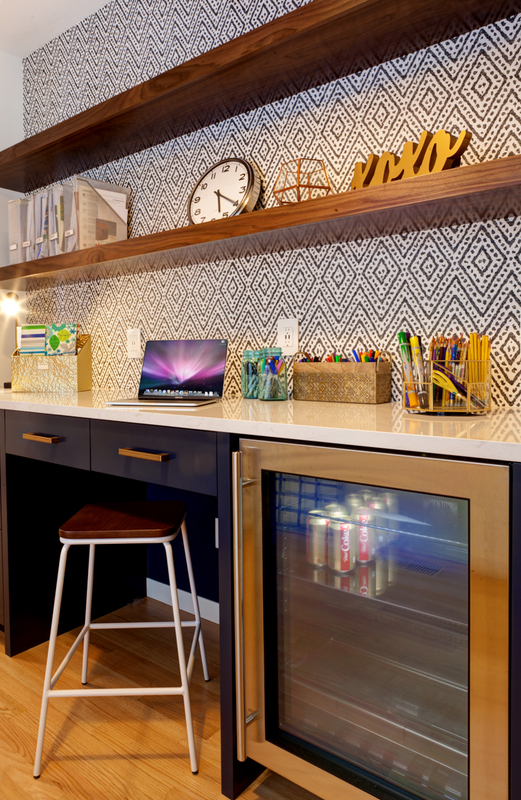 Easily closed off to increase productivity or to seal off while entertaining, the command center features custom cabinetry, work counter, and beverage fridge. We are honored that this project is promoted in the BATC Remodelers Showcase Guidebook starting on page 26. 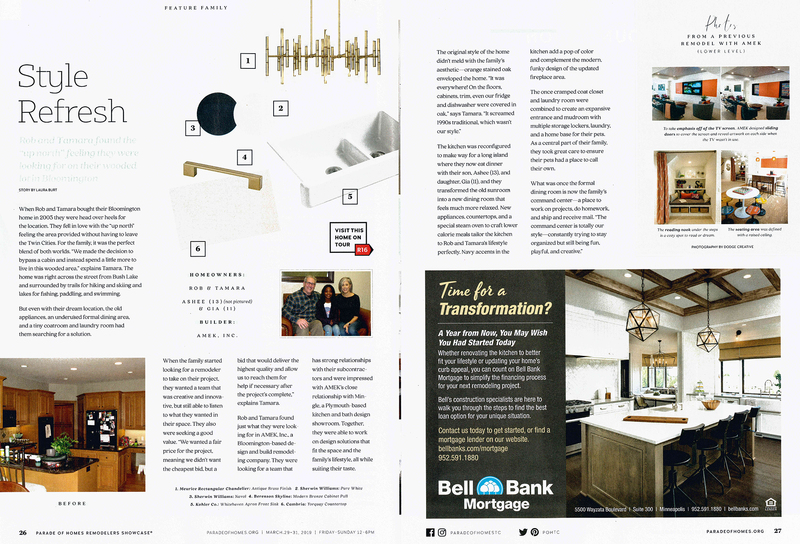 Our AMEK Feature Family article talks with the homeowners about why they wanted to do the remodel as well as showing off some of their kitchen selections Guidebooks can be picked up at Twin Cities Holiday gas station stores. 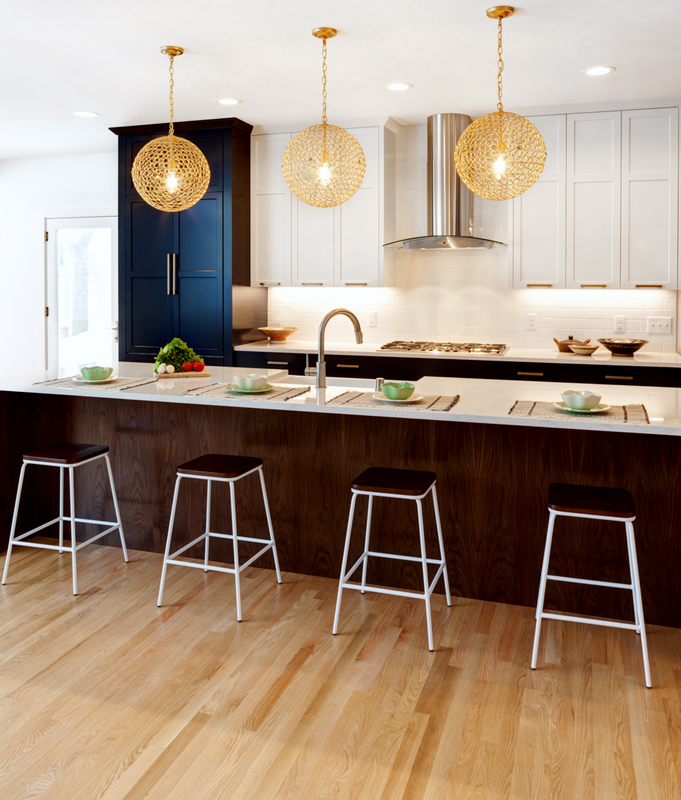 If you want to see another AMEK project on the Remodelers Showcase, head over the 10631 Lee Drive in Eden Prairie for a kitchen remodel that transformed the main level into a more open floor plan. We hope you can stop by both of our homes and meet our AMEK team. Remodelers Showcase hours are noon to 6 p.m. March 29-31.